Wagyu, a Japanese beef cattle breed, are commonly known in Japan as “Kobe beef”. In Japan, the pampered raising, one at a time, of these animals is legendary and to a large degree true. Recognizing the value of the breed, enterprising individuals in the United States first imported bulls to a limited degree in 1975. 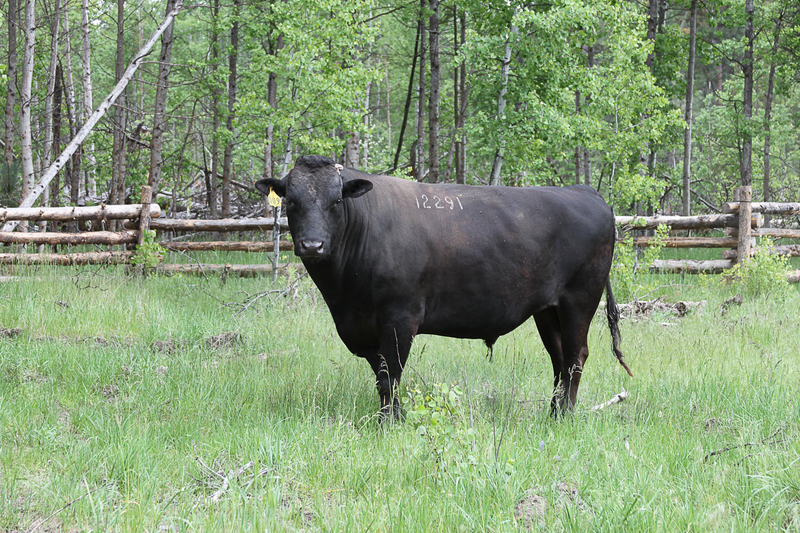 However, the majority of the breeding stock that have entered the U.S. were black and arrived in the 1990’s; resembling at maturity black angus. Since that rush of importations, the Japanese Government has banned further export of Wagyu and moved to restrict the marketing world wide of the term “Kobe Beef” to limit it to apply only to cuts of meat exported from Japan. The United States Department of Agriculture in response defined the U.S. marketing term, “American Style Kobe Beef” to apply to Fullblood Wagyu (100%) cattle raised in the United States that can trace their DNA back to the original animals imported from Japan. To be recognized as such in the U.S., each animal and it’s DNA must be registered with the American Wagyu Association (www.wagyu.org). The Fort Klamath Ranch is incredibly fortunate to have two crystal clear streams meandering through it’s pastures as well as numerous artisian springs that burst to the surface where the valley’s grass meets the base of the hills. Our natural pasture grasses are uncommonly high in protein and seem to just thrive as they emerge from the winter snows in the Spring. These meadows and pastures also contain willows, aspens and many varieties of native bushes which provide the grazing Wagyu an incredibly healthy and natural diet. The measured growth rates of the animals with the diets of spring water and natural feeds, often match that of the highest protein diets available in a controlled environment. At present, our herd’s genealogy is dominated by three or four Fullblood Wagyu bulls whose genetic lines rank them in the top 12 nationally for marbling in the beef. The majority of our breeding cows are Fullblood (FB) or Pure Bred (PB), which means they possess 94% Wagyu DNA or higher. It has been found, that some cross breeding with quality Angus cows improves the milk production of their offspring cows. More milk provides for a healthier spring calf that can grow and flourish quickly as it prepares for the sometime harsh Oregon winters. 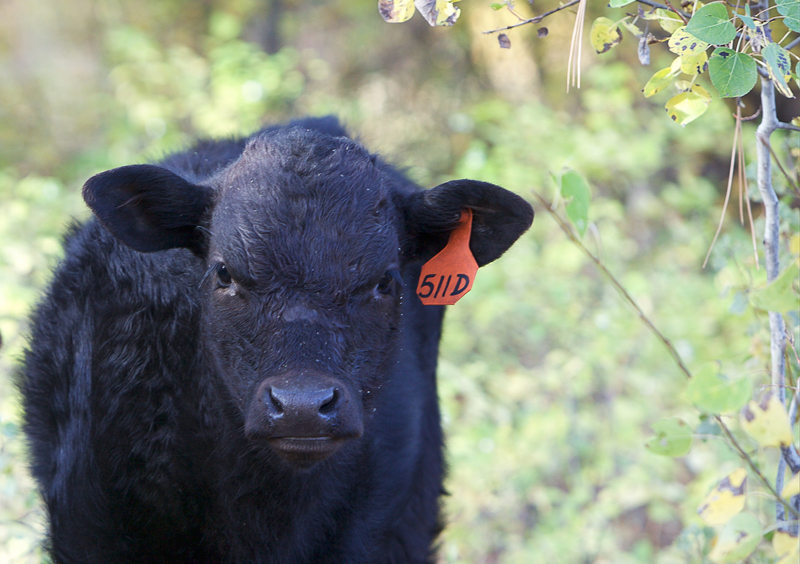 Our cows are naturally bred by our Fullblood Wagyu bull(s). Each animal designated for market spends it’s first 18 months feeding on the Ranch’s natural feeds complimented by locally grown grassy alfalfa in the winters. Their access to spring water is year around as the springs and streams remain open even during the coldest of winter months. At roughly 18 months, a sizable daily portion of natural, US produced corn, soy beans, wheat and barley with a little molasses is provided to compliment their natural feed grazing. This continues for a minimum of nine months as which time their diet becomes the natural grains and molasses along with barley straw for roughage. This high calorie diet, along with lots of spring water, continues for the last 3 to 6 months before being sent to market. 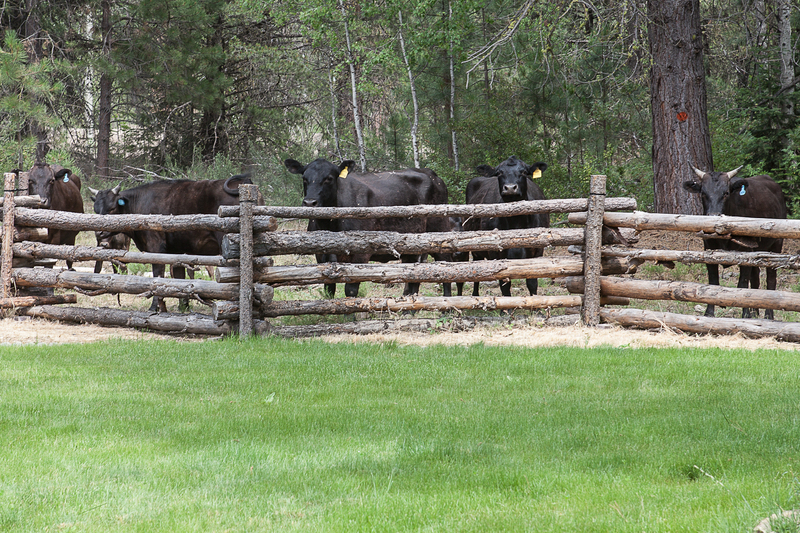 While the Fort Klamath Ranch is small, with a planned level of 30 cows and 80 total animals, we are proud to breed, raise and grain finish our Wagyu cattle in Oregon’s Upper Klamath Basin. 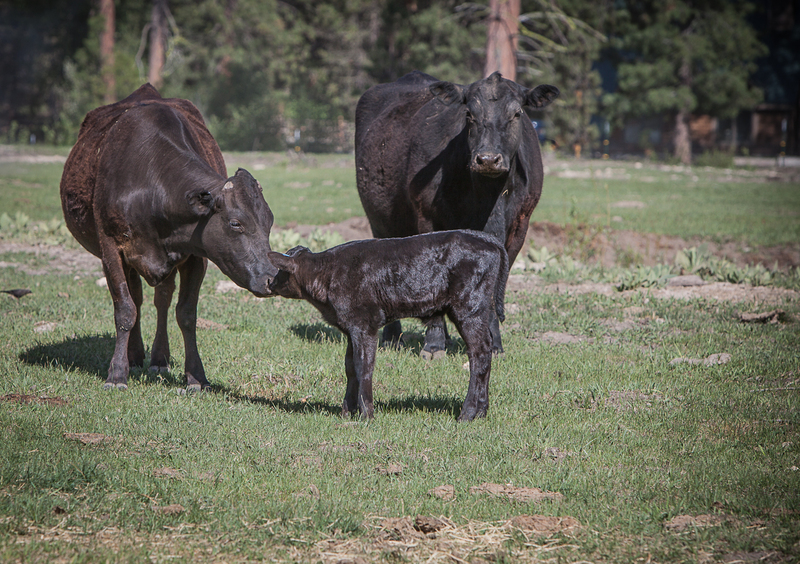 As mandated by the American Wagyu Association (AWA), all of our animals are DNA tested, AWA registered and tattooed as calves. This is also done for the animals headed for market to provide full DNA traceability back to the original Japanese blood lines. This traceability provides our customers confidence in the fine meat products we produce. At this time, all our grain finished cattle are being sold to local retail butchers as well as restaurant distributors in Oregon, Nevada and Northern California.